As part of your Holiday, why not visit formentera for the day. 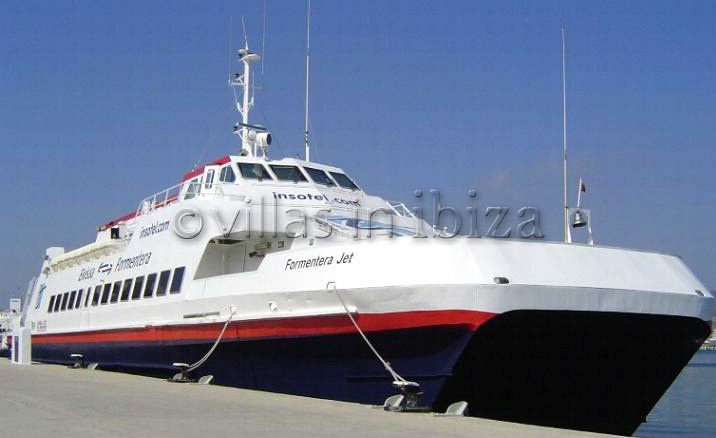 We can recommend Trasmapi, leading boat company with many years experience in the ferry business and will ensure your trip between Ibiza and Formentera is comfortable, fast and safe. They operate a large fleet of ships with a flexible and effective range of schedules and they depart from Ibiza town's main port. The boat tickets can be bought directly at their counter in their port office. There is good parking near the port area, also Ibiza is well communicated to all the Island with regular bus services. Or even take your car over when traveling to Formentera.